Do you have a cook on your Christmas list? 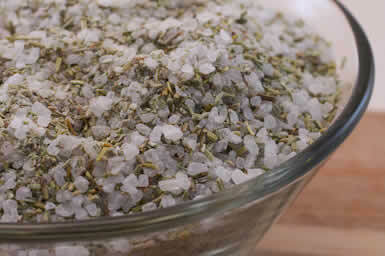 This homemade rosemary salt would make a great gift! I can just taste this homemade rosemary salt sprinkled on a loaf of fresh homemade bread dipped in a little olive oil! Yum!! Don’t miss any of the homemade Christmas gifts, and submit your own idea here. Thanks for the mention. Glad you liked the idea for the Rosemary Salt!